Often in Television Tuesday posts I talk about shows that I enjoy--because why would I want to watch a season of something I hated, after all? That said, it can interesting how I discover I am a fan of a show. I may come into it later in the first season, or even many seasons in, find the episodes I see interesting, and seek out the earlier stuff. Also, maybe I'll see a brand-new show and find it intriguing enough to keep following. That said, I've often found one interesting trend in a variety of shows I have enjoyed. Namely, I never can judge them accurately based on the first couple of episodes. Numerous times I have seen the premiere of a show and thought it looked like something that was either not for me, or just, "Meh." Then I'll see later episodes and think, "Wow, this really found its footing, I need to watch it from the start!" This can make being able to buy/rent/stream the entirety of a show's season really helpful. I didn't like the first episode of, "Bob's Burgers," but enjoyed ones shortly after it. I thought, "True Blood," was quite boring until (spoiler alert for a show that actually ended a year ago so I don't know why I'm issuing a spoiler alert) the Grandma died a few episodes in. There are other shows that follow this trend for me too. For example, "The L Word" doesn't hit its stride in the premiere season until around the 3rd episode, feeling a bit wobbly and unsure of itself at first. Key and Peele wasn't too great in the debut episode, but I did like the 2nd one and its grown into quite the popular program in later seasons. Clearly, you can't judge a show by its pilot/beginning and sometimes not even the 2nd episode. 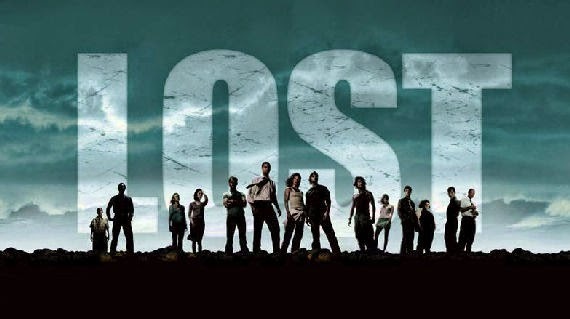 Hell, despite people claiming that "Lost" was gripping from its action-packed pilot on, I didn't find myself that impressed by it until the fourth episode! There are a lot of shows I have greatly enjoyed or at least appreciated (I never really got into "Lost" as much as some folk), which I would maybe have not given a chance if I didn't see later episodes and suffer through questionable starts, or just put-up with difficult beginnings figuring it would all get better. This brings me to a discussion of my latest favorite program, and one which if I had happened to only view the pilot and the 2nd episode would have not appreciated as much as I do. That show is, of course, "Rick and Morty". 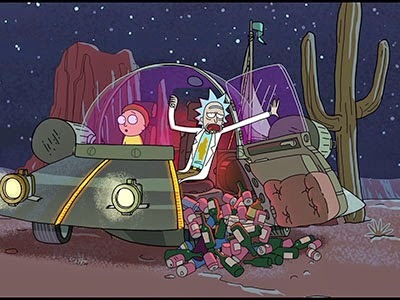 Originally starting out as a raunchy parody of "Back to the Future" characters, "Rick and Morty" are a grandpa (Rick) and his grandson (Morty). 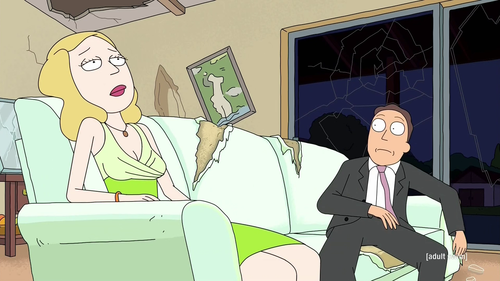 The show is about them going on absurd sci-fi adventures, with Morty's parents (Jerry and Beth) and sister (Summer) often having their own story-lines intersect with and diverge from the going-ons of Rick and Morty in interesting ways. Created by Dan Harmon (of "Community" fame) and Justin Roiland, I caught what is basically the seventh episode one night on Adult Swim (the "Rasising Gazorpazorp) and was immediately intrigued. I picked-up the DVD of the show and proceeded to get excited! Then I watched what is officially the first episode/pilot. I was not impressed. There were some good jokes, but mostly I found it all pretty subpar. Next, I watched the next episode, "Lawnmower Dog." It was a bit better with its jokes about "Inception" but it seemed to drag in its humor and even riffing on, "A Nightmare of Elm Street," for a gag couldn't save it from feeling a bit dull. I was concerned after these two episodes. Had the one I'd caught on T.V. before been a fluke? Was this in fact a relatively mediocre show that just happened to have that one good episode? These were worries floating through my mind, but thankfully when I started watching the third episode ("Anatomy Park") I found myself very amused. 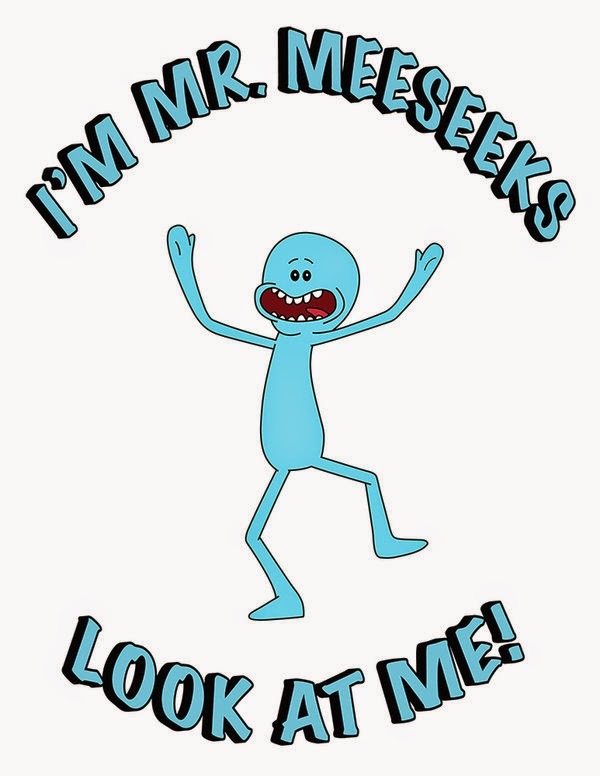 After that it was basically all gold, with every episode being at least quite fun, and some being just amazing ("Rixty Minutes" for example is my jam with its mixture of humor, heartfelt moments, and general silliness--also, "Meeseeks and Destroy" is hilarious). Once you watch the show you will find this meme to be the bomb-diggity. 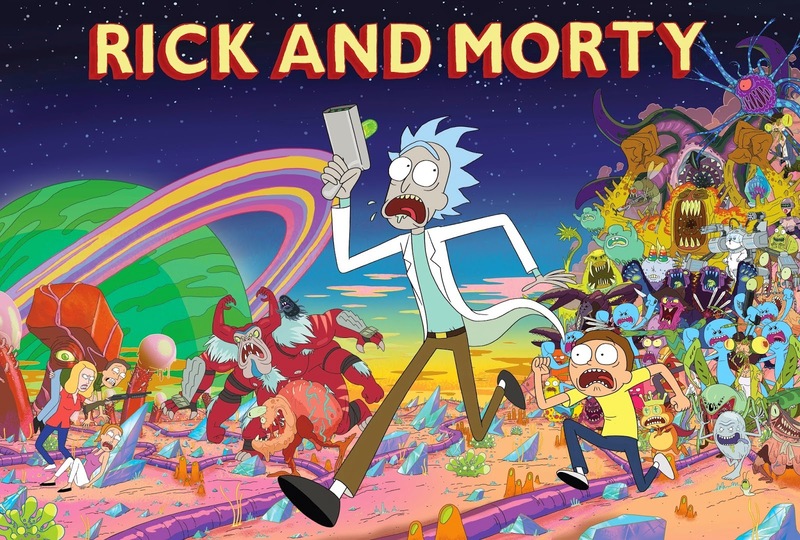 It is hard to describe "Rick and Morty" as each episode is its own beast, often relatively free of any continuity from other episodes outside of the occasional mention here-or-there. As I said, it just is a really funny show that takes the lighthearted fun of adventures, but inserts a lot of twisted and dark humor into the proceedings, while just occasionally being sweet enough to make you care about the characters instead of flat-out hating them. You can in fact watch the episodes on Adult Swim's website easily (although a cable provider log-in is needed for the official site, other methods exist such as buying the episodes online or finding shoddy YouTube streams if you are a real cheapskate/unable to afford paying) so I would recommend doing so--although maybe start with "Anatomy Park" instead of the first two. 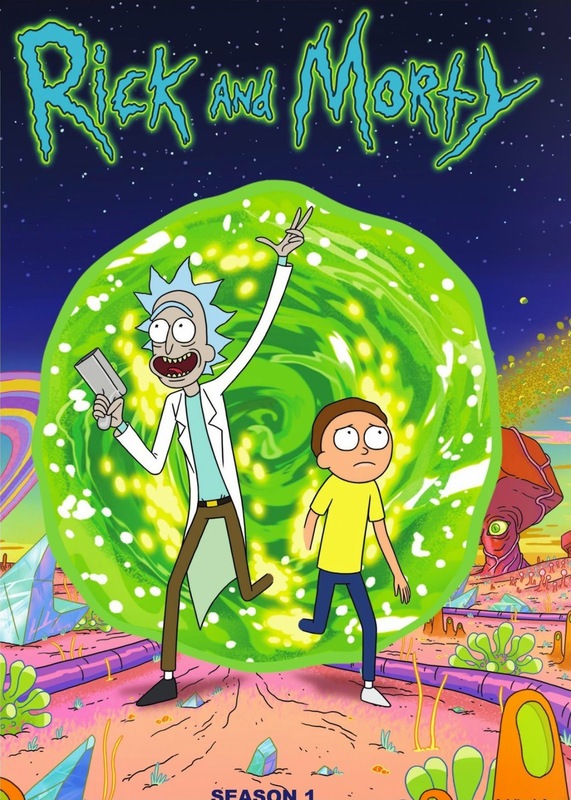 Were I to have just watched the first two episodes of "Rick and Morty" I would have missed out on a show I now adore.I have found out yet again that you just can't judge a program based on its initial episodes. Sometimes a show needs a couple to get situated, feel comfortable, and really start putting out good stuff. There can be occasions where it takes a long time (I hear "Agents of S.H.I.E.L.D. doesn't finally get good until toward the end of the 1st season but has been enjoyable since), and sometimes something can even start strong and quickly go downhill ("Homeland" apparently had a stellar first season but has been a wreck since), but usually you should give a show a chance to expand beyond its initial growing pains as a caterpillar and turn into the beautiful flower it can be (I'm mixing my metaphors, but you follow what I'm saying). You shouldn't judge a show based on simply its starting episodes, if the multiple programs I have viewed in the past have taught me. As a show such as "Rick and Morty" illustrates, if you give something a chance it may become your new favorite thing to watch. You just need to be patient sometimes. Unless of course it is in fact the show "Lost", then you end up mad about how it had a shoddy ending after all the energy and emotion you invested in it (I'm glad I never really cared much). Anyways, watch "Rick and Morty" if you have the kind of sense of humor I do (which if you enjoy the blog I assume you would), you should find it extremely pleasurable too!